Sit back and sip on some eggnog as we take care of all your holiday printing needs. Get them all in one place. 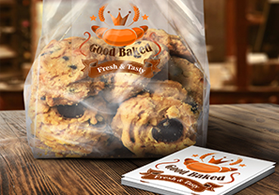 We even offer same-day or next-day turnaround for most printing. Avoid the hassle of last-minute holiday printing. 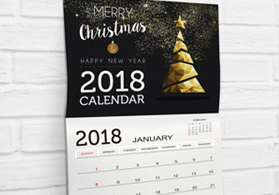 We have same-day and next-day turnaround options so your Christmas printing will get to you right when you need them. 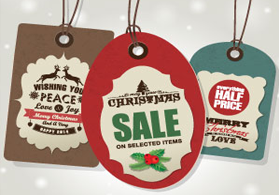 Get yourself a custom designed vinyl banner to announce in-store Christmas promotions. Large vinyl banners will catch the attention of anyone passing by your store. We have step-and-repeat banners as well as backdrops available for company parties or for your “Picture with Santa” events . Hang mesh banners around your neighborhood to promote shows and events. Christmas Labels and stickers are great for adding a personal touch on DIY gifts. If you’re giving away wine this holiday season, why not print your own wine labels? Same goes for food labels. You can also print Christmas themed address labels if you’re sending gifts through mail. Greeting cards are a staple during the holidays. Rather than buying generic greeting cards, you can print custom Christmas cards to send to family and friends. We’re certain that creating designs from scratch will have more impact. What do you do with this year’s family Christmas photo? Put them on a photo postcard, of course! Send them to loved ones and wish them a Merry Christmas! Your line of holiday products are best featured through catalogs. Let your products shine gloss or high UV coating or be more subtle by going for matte coating instead. Get more people to come to your Christmas party by distributing flyers. Combined with short-run posters, your event will be the talk of the town for sure.